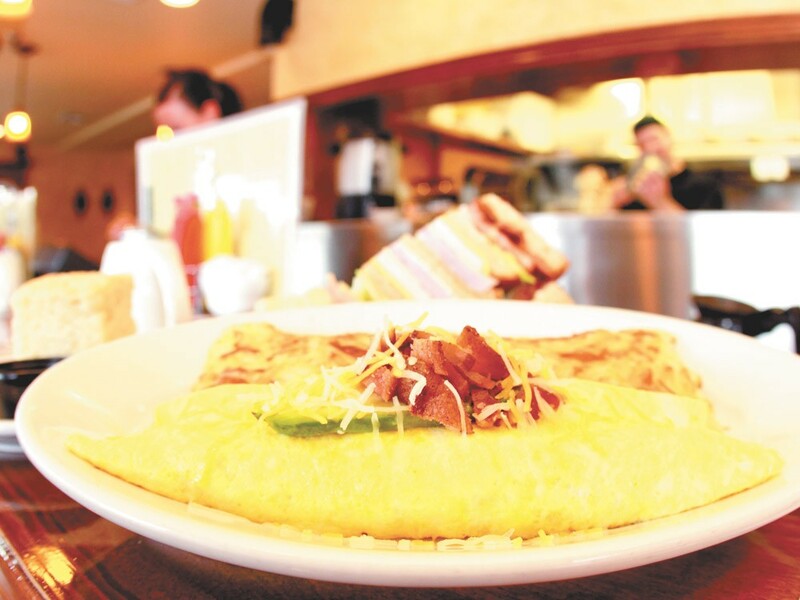 The bacon avacado omelet at Dolly’s is just one of the breakfast options at the popular Spokane eatery. To call Dolly’s “cozy” would be an understatement, but for more than a half-century, generations of truckers, church folk and hung-over students alike have been squeezing into its booths, eager for a heaping plate of eggs and hash browns. “It’s because we have the best breakfast in town,” declares lead cook Seamus Kane. Above all other menu items, Kane says, customers can’t get enough of the eggs Benedict ($11), which he likes to pile high with thick-sliced ham. Though old-style diner fare is their bag, a new avocado omelet ($12) with mushrooms, feta, spinach and bacon is a welcome addition to the menu. Lunch also draws quite the crowd, with the gut-busting Guy Burger ($11), a massive number that has to be held together with a steak knife. Kane’s personal favorite, the chicken Philly ($12), swaps out the classic beef but doesn’t skimp on the toppings. Dolly's Cafe • 1825 N. Washington St.